For an amusement park, it’s oddly quiet. There’s none of the frantic music, whirring machines and general din of a fair. 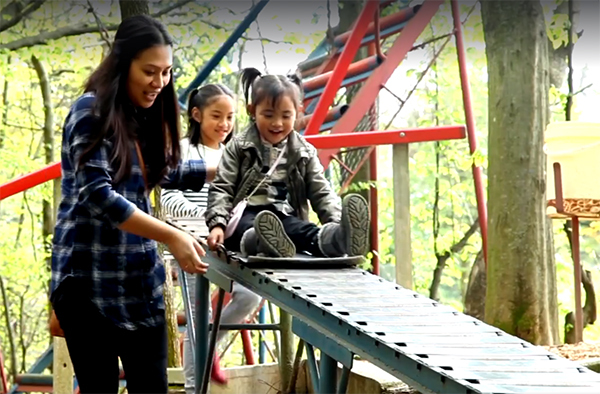 That’s because every ride at Ai Pioppi is powered by people. No electricity here, just parents pushing roller coasters, people pedalling or running or cranking to power rides, and good old fashioned gravity. There is of course the sound of people laughing and chatting, the rattle of metal and the occasional delighted scream as a roller coast bolts down its tracks. 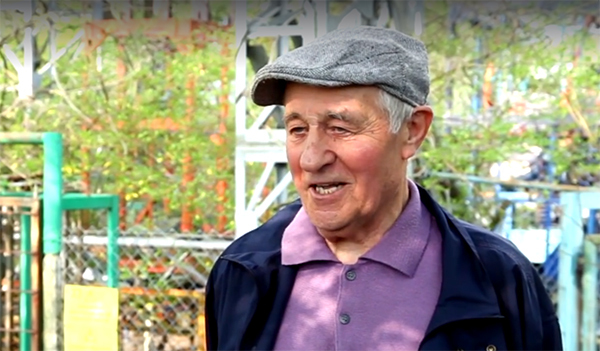 Ai Pioppi is the creation of 79-year-old Bruno Ferrin, an Italian man who, since 1969, has been building rides for his amusement park in the forest of Treviso, in northern Italy. The venture started with a food stand, opened in the middle of summer. Bruno set a grill under a tree, bought some sausages, sopressa – a regional salami – a jug of red wine and a jug of white wine and waited to see if people would come. They did, and a few hours later, the little eatery was out of food. After the success of the restaurant, Bruno wondered if he could find a more interesting way to attract people to come and eat. He went to a blacksmith for supplies to see if he could build a swing, but the blacksmith was busy and directed Bruno to the welding tools to make the parts himself. That was the beginning of magic, and Bruno hasn’t stopped building rides since. Bruno is humble about his achievements, and although we would beg to differ, he says, “I don’t consider myself a Leonardo da Vinci.” In fact, he didn’t think the park would be much of a success. 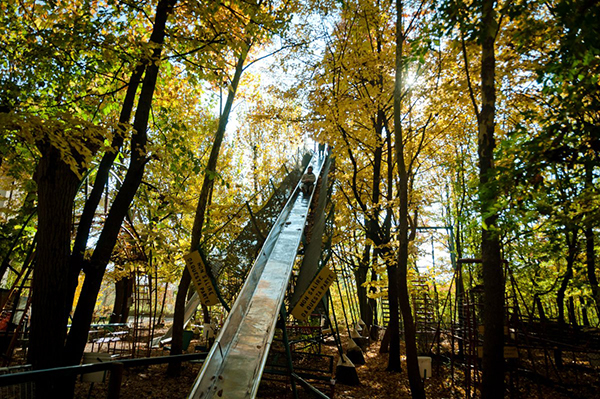 Today there are 45 attractions in the park – seesaws, swings, slides, roller-coasters and gyroscopes. The park is free. It’s supported by sales from the restaurant that’s run by Bruno and his family.